I am with Hot Water on this one. As do Roco, Fleishmann, Marklin, Trix, Bemo, LGB, etc. 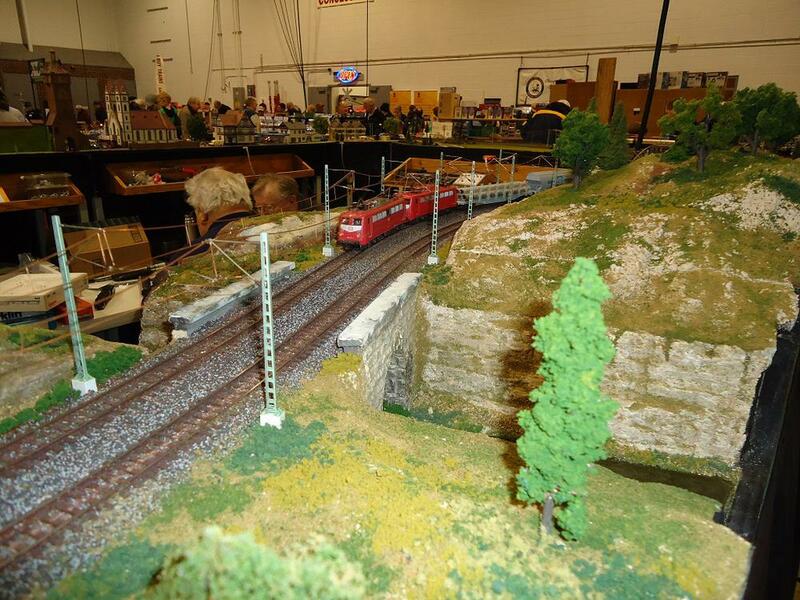 There's a US based organization devoted to them, the European Train Enthusiasts. And they can run Marklin stud AC, conventional 2 rail DC, DCC, and off overhead all on the same track. To clarify my previous post, I much as I would love to have one of the new MTH German "BR-44" (when ever it comes out), 2-10-0 3-cylinder locomotive models, having witnessed the real ones, the "European" models are NOT 1/48. The "European" models are something like 1/43 and thus look noticeably larger when placed next to a U.S. model steam locomotive at 1/48. I do. But in HO scale. NO only because of a limited budget. I am staying focused on American Trains. I would love to have a model of the Orient express though. I wonder if MTH will expand into current HST trainsets for the European market. Just to update , in Jan 2016, Aaron city trains had a blowout of the MTH br princess coronation Pacific steam engine. The price was too good to be true but I got it. Later that year, I picked up the MTH L.M.S. maroon coach set and the two pack add on cars. While I still don't model European, I now have at least one passenger set. Reminds me of my cousin's in London. Cheers! Not me -- although I confess to a great fascination with German narrow-gauge trains. Back in my HO years, I had a lot of Liliput HOn30 equipment. Well, MTH sells models (usually 1:43 scale) of European locos. I have a lovely French 241.A (a 4-8-2) Chapelon, which is one the best models I have and has the best whistle of any loco I have ever heard, a wonderful reproduction of the very shrill, penetrating Eurpoean steam loco whistle. But that is still an American product, if of a Europoean loco. 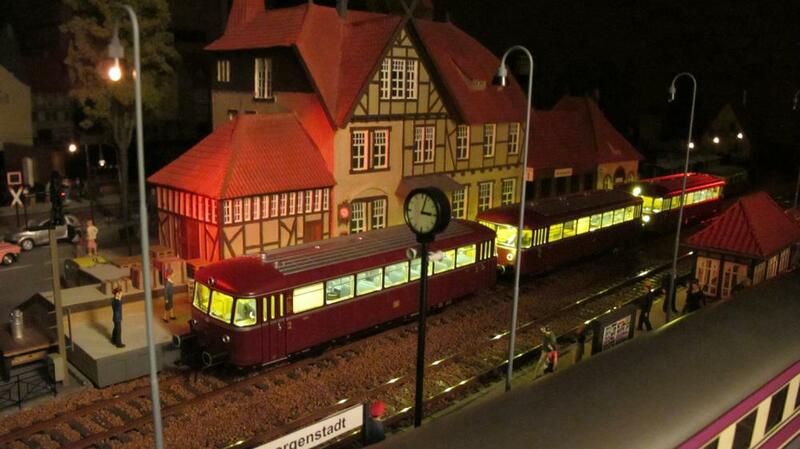 I have only one European O-gauge model train. A Darsted 2-6-2, tinplate tank engine. 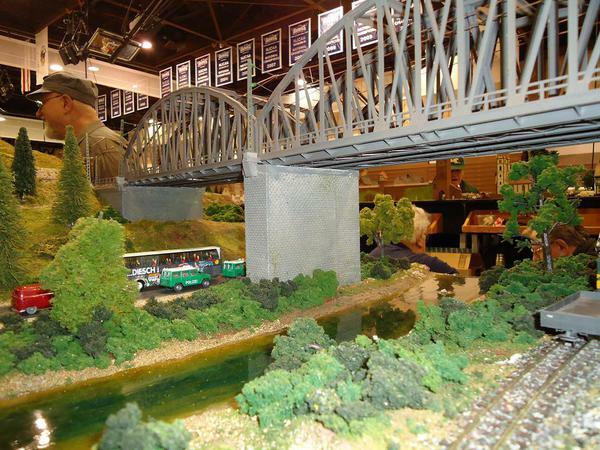 Even though it is tinplate, it is really much more model than toy - it looks quite real. It is 1:43 scale and quite nice to look at. It was delivered as a 3-rail DC loco - a weird thing indeed, although I converted it to AC with a rectifier installed, and has no electronics or sound and is by far the noisiest (gear and rolling noise) toy loco I have ever heard. I don't run it, but just display it here in my study. As of right now, no. HOWEVER....I have always loved the look of European trains and have always wanted to build a small layout with Marklin in Z or HO or even LGB. Only issue is time and (more importantly) money........one day......! 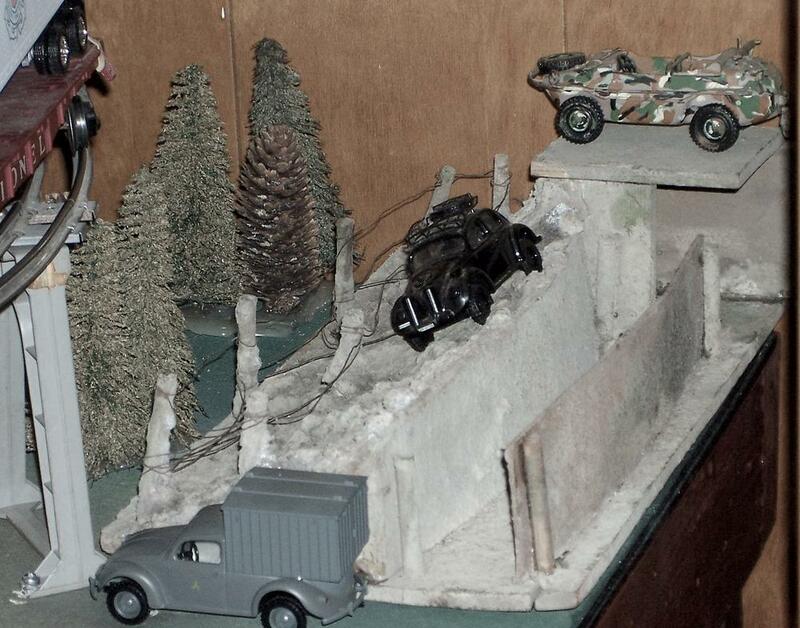 My original concept for a layout when i was into G scale was to create a fictional US Army RR operating unit, stateside. The other half of the layout would take place at the end of WW2 In Germany and would get the use of all the LGB german stuff. For a short while, when I went to On30, I considered the same concept, which meant I could have used a lot of 1/48 scale stuff for military modelers, but never did so. I've chased trains in Germany and the Netherlands years back, so I will always have an affinity for trains from those countries. But no, I don't model European, though I see the appeal. I bought two Lionel Harry Potter sets one year cheap. I moved all the coaches to one set, painted the other loco green (still not finished) and bought some Lima British freight cars. I also bought a few British freight cars kits and built a few myself. So now I have two UK trains I can run on 'foreign' day! I do in both O and HO. 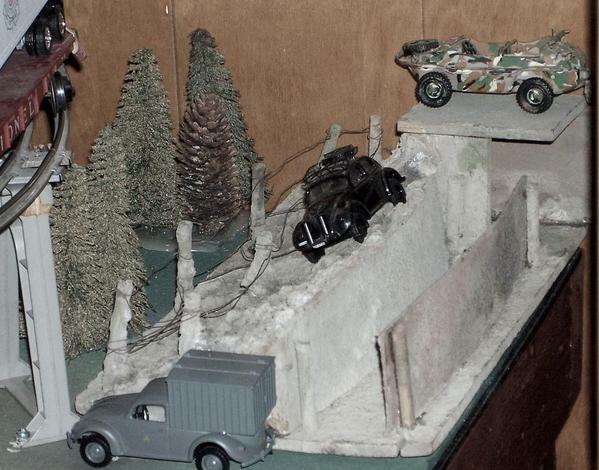 In fact, my last minute Christmas display features most of my HO European stuff. From Hornby, I have two OO scale LNER locos (A1 Flying Scotsman and J83 0-6-0T) and three LNER coaches. From Roco I have a DB Era III BR57 0-10-0 (not running on the display because it needs a DCC decoder) and a DB Era III set of eight goods wagons. I'll post pics and videos later. In O gauge, I have the Lionel Shakespeare Express, and have already expressed my desire for the MTH Orient Express equipment more than once. 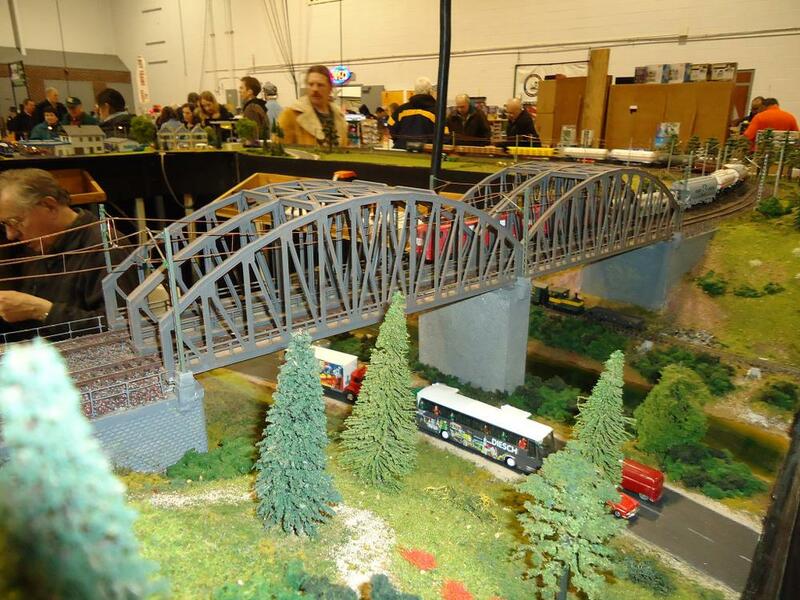 I run European and have a ten by twenty foot modular two rail layout. I have Lenz, MTH, Rivarossi, Lima, Brawa, and lots of other European brands running on it. (I posted some pics and videos of it quite a while back.) I also collect tinplate French Hornby in addition to my Lionel Postwar trains. All the best, Miketg, ps I have fixed the leaning lamppost since this photo was taken. I don't mainly because of space and budget limitations. However, I would imagine there are many that do. I believe MTH European trains are selling well both here and in the European countries. I like European trains. I have MTH, ETS, and Merkur Euro trains, and I have bought a number of steam-era 1/43 die-cast cars and trucks so I can make my layout look more European when I'm running them. 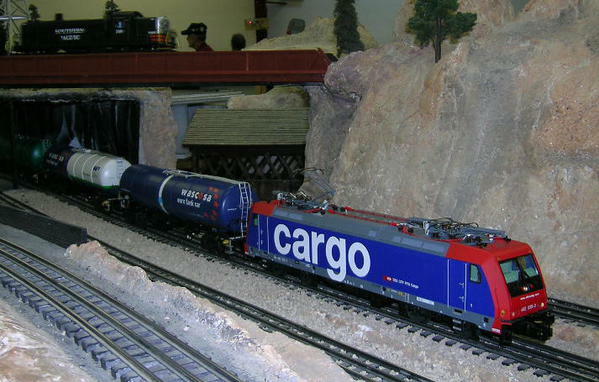 I have three MTH Euro locomotives and matching trains - the French 241A steamer with the Orient Express, a Swiss Crocodile with 4-wheel boxcars and beer reefers, and a modern Swiss Cargo electric with a string of tank cars. I also have a fairly extensive collection of ETS 3-rail trains, which come from the Czech Republic. These are tinplate and include some prototypes that you cannot find anywhere else, such as the Beyer-Garratt steam engines and the Seetal "baby" Swiss Crocodile. ETS makes a large assortment of nicely decorated beer cars and wine barrel cars, which are among my favorites. 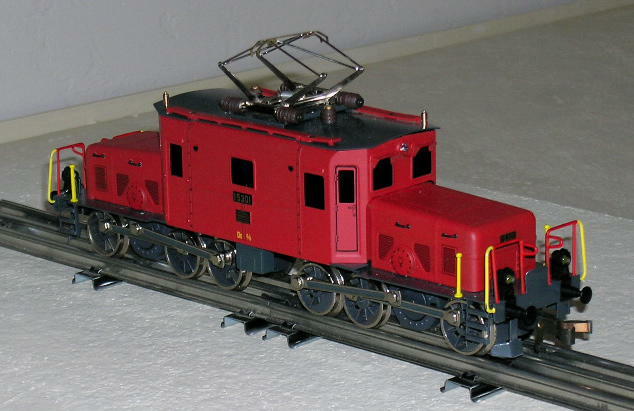 Top: ETS Czech diesel switcher with beer cars. Middle: ETS Garratt with wine barrel cars. I have the MTH Orient Express Set pulled by the 2-3-1 Chappeon and a ETS Passenger Set circa 1920s that I bought at the factory in Prague from Gustov Taus the owner. Presently, I am modeling a modern freight/passenger type layout. Nothing remotely European about my railroad. However, I did a modern European railroad in "G" gauge and had 5 modern Taurus locomotives. Two of which ran counter opposing. I had one 8 foot track and one 6 foot track. The Piko Taurus can run minimum 6 foot and is quite impressive when pulling a modern consist of German freight cars. I had some of the best of the best as far as that goes. Piko, LGB. I wanted to model in O, but found little in the way of really modern. I even had one ICE (Inner City Express) high speed train in G on that layout. It was really quite impressive. With snow covered fur trees it looked like a typical Austrian/ German ski village scene. I love all trains period regardless of where they originate from. Nothing Connects People Like Trains! I've got some Riverossi and Pola-Maxi O scale trains that I picked up in Germany back in the 70's, also some Marklin HO. I'd like to have a MTH Krokodil or the 2-10-0, but the budget is taken up by layout construction right now. Maybe someday. BTW, the scale size difference is minimized by the smaller loading gauges of Europe and the UK. I also have several pieces of British N, though no layout to go with it. Someday I will build a small shelf layout with it. I've seen some really beautiful British O (including these amazing Mallards) but they are too rich for my blood. I've been tempted to build a couple of the wagon kits from Parkside Dundas, as they are reasonably priced, but then I'd have nothing to pull them. Maybe sometime. Id love a Kroc. So would the toy soldiers on the layout. They are going to be testing European WWII machinery regularly. We have a few in our club that purchased the MTH European steamer in the German and French versions. Both engines are really great pieces and the detailing far exceeds the catalog pictures. I have some European cars and small trucks and have considered setting up a small trolley diorama with a European theme. The MTH single truck bump and go trolley is very close to trolleys still running in Portugal. But this time the general nostalgia urge and lack of extra space has kept the idea stillborn. Thanks to everyone for this topic. I thought I was the only one. Although I haven't yet set anything up, I have British OO, Ace & Darstaed O, and some ETS, and I subscribe to Railway Modeller. I'm thinking of building a small British-style OO layout - not just British prototype, but designed in a manner similar to what is popular in England. For me, it started with visits to the National Railway Museum and several heritage railways in England and Wales. The amount of passion that the English have for trains is amazing. Although I am primarily US oriented, I have locomotives by Hornby and Bassett Lowke, rolling stock by Hornby and Bing, as well as structures by Hornby, Bing and Karl Bub. I also have the Ace Coronation set with the A4. I always thought they were interesting to look & I like them, but my layouts are heavily based on local railroads, industry, & whatnot, so that stuff would not fit in at all. I like all the videos on Youtube from guys overseas that model their own trains & I also like their interpretation of modeling US subjects. All very interesting. I wouldn't mind displaying a beautiful British steam engine or something, but they're too nice & too expensive to let it just sit there. European trains have never really appealed to me. When I was very young in the hobby, one of my friends was into Marklin and me being a loyal Lionel fan, never had the least bit of interest in them. This opinion has styed with me at least till now. Yes, I like foreign railways. In N scale, I have British and a few pieces of continental equipment. In HO, I have a representative roster of models of Italian prototypes and in OO I own several Irish locomotives from the range of Murphy Models, a company specializing in models of Irish prototypes. I do HO scale Marklin.